It’s definitely pomegranate season in Marrakesh. Every city block has its own cart. And at 6 dirhams a kilo (40 cents a pound) there is no reason to hold back. Do you like pomegranates? My kids love them, they scream with delight when I serve up a plate of the crimson jewels. And I scream with delight internally knowing that my kids are crazy about one of the healthiest foods in the world. Indeed, pomegranates have one of the highest levels of antioxidants of any food, three times the amount found in green tea. Studies have linked pomegranate consumption to reduced blood pressure and bad cholesterol. The flavenoids (a type of antioxidant) in pomegranates are effective in fighting both breast cancer and skin cancer, and a study has shown that pomegranate juice may slow the growth of prostate cancer. 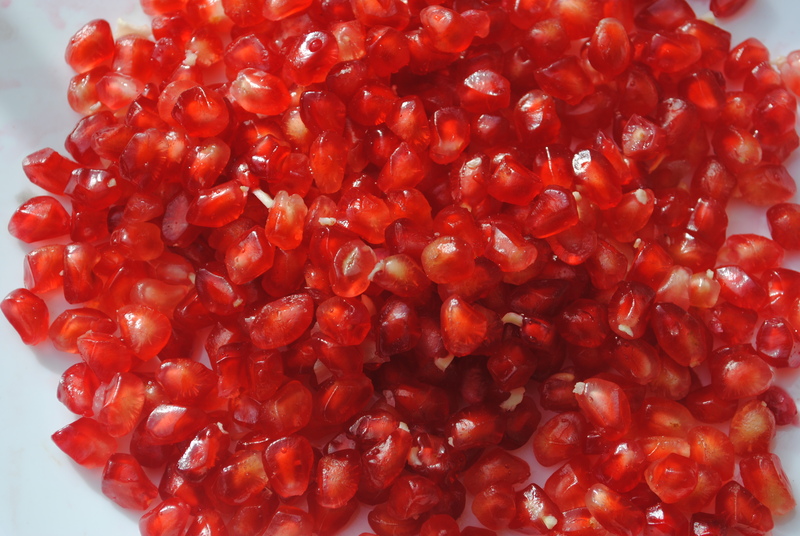 The pomegranate also has anti-inflammatory properties, a high level of vitamin C and pantothenic acid. The seeds present in each aril contain unsaturated oils (the good kind), and if you manage to chew them, you’ll be getting more than enough fiber. Unfortunately, science has still not developed a protocol for picking out a good pomegranate. It’s one of those obscure skills, like picking out a good watermelon, where many factors are in play. The color, the amount of give when pressed with your thumb, the smell even. It takes practice and a refinement of the senses to become a connoisseur. There is always that moment of anticipation when we open up a pomegranate. Will it be over-ripe and starting to ferment? Under-ripe and still a little too tart? Or will it just glorious; dark, sweet and juicy? My advice is to just buy loads, you are bound to get some good ones. Like human beings, a beautiful outside is no indication of what’s on the inside. It’s usually the most undramatic and unassuming ones (fruits and people) that hide the most precious treasures. In Morocco, pomegranates are a beloved fruit because they are mentioned in the Quran as being one of the fruits of paradise. In the chapter called “Ar Rahman” or “The Merciful”, the gardens of paradise are described thus, “in them are fruit trees, dates palms and pomegranate trees”. The commentary on this verse addresses the fact that dates and pomegranates are mentioned distinctly, even though they are both fruits. This is because dates are distinguished as being a source of nourishment, something a person could live on, while pomegranates are a cure for ailment. Why would there be a cure for ailment in paradise? The Sufi commentary points to the fact that some of the people entering paradise have spiritual imperfections, ailments of the hearts, and that the pomegranate tree is a symbol for the cure that they will find. The Arabic word for pomegranate is rummaan, which in turn comes from a Persian word meaning “to illuminate”. Indeed the translucent fruit catches and reflects light like a thousand dazzling rubies. This celebration of light and perfection, each aril fitted to other with the precision of the world’s most delicate puzzle, encased in a dull, thick, leathery and bitter skin, is a perfect analogy for the infinitely complex microcosm that is encased in the human form. It would only make sense that the pomegranate is a cure for the heart, both through its physical properties, and its spiritual ones. There is a saying attributed to the prophet Muhammad that says “Whoever eats a pomegranate, God will illuminate his or her heart for forty days”. So my dear ones, if you live in Morocco or on the Mediterranean basin, make pomegranates a daily delight, and eat to your heart’s content. If not, then add this to list of reasons to visit. This is beautiful and sweet in every way! I wish I loved the taste of these magical fruit more…. I’m sold. Will go to CIds’ tomorrow for pomegranates (a word I am not sure I have ever even typed before.) Your blend of useful information, and profoundly inspirational information is as delicious as this fruit is. MashAllah! My kids love this little jewels. I was surprised how all three of my children gulped them down the other day without hesitation; they’re as picky as it can get when it comes to trying anything new. I read on a magazine regarding the myriad of health benefits they contain; it’s just the fruit you should not do without! Isn’t it the best when the kids actually eat the good stuff? All my boys love pomegranates too. Seems to be love at first bite, or gulp! Masha’Allah. And I’ve met other little kids who are into pomegranates too. The attraction of innocence. Maybe it’s a natural (inherent?) reminder of the fruit from our primordial Eden. NB to Nora: once again you did an excellent post. Love how you do it. Masha’Allah. Congratulations! 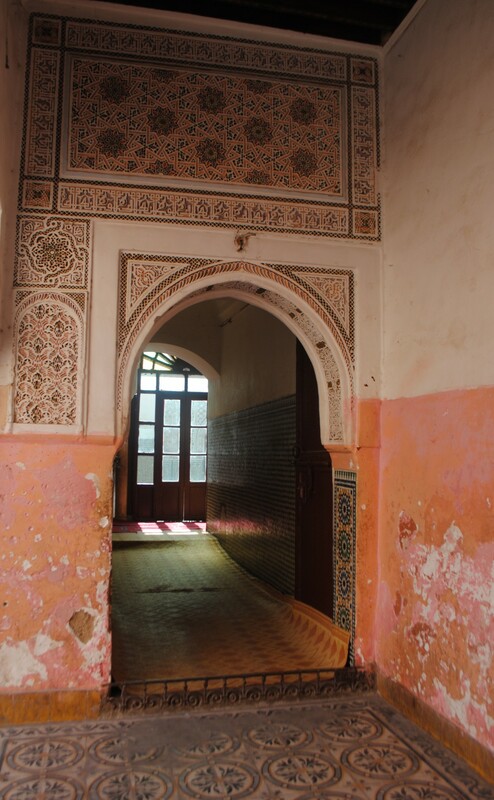 Your blog has been nominated for the Best of Morocco Blogs 2011! Kindly send an email to vago@vagobond.com to receive your nomination badge code. 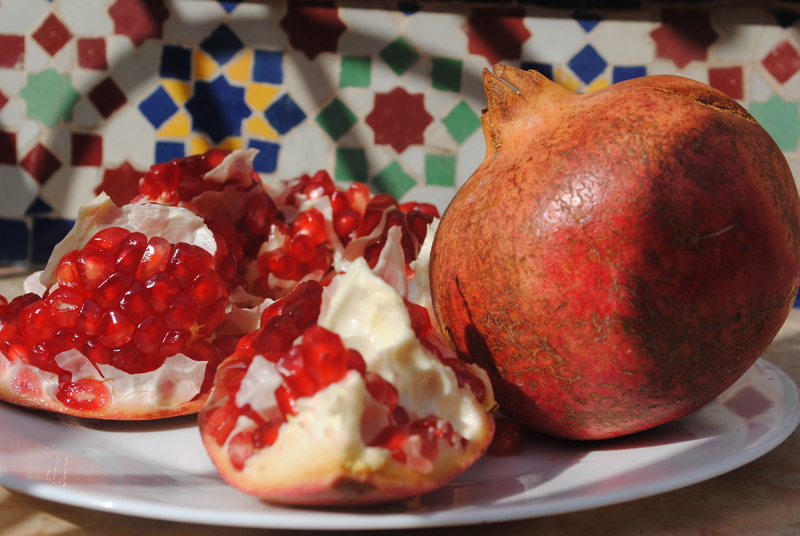 Pomegranates,and real dates, cheese bread and foul medamas, and biryani….what I miss most about the middle east. The food is so light, and pretty healthy. But I didn’t know so much about the healthy properties of pomegranate…must go hunting for them!! This was a good read, healthy and yummy as well :), thx!